This Sunday the Church celebrates the Feast of Corpus Christi (the Body and Blood of Christ). All three readings this weekend move toward finding nourishment, perseverance, and true freedom after having to journey through a spiritual desert. The Egyptians traveled out of slavery but yearned for the comforts of old, even if they knew they were in chains. Early sobriety may be accompanied by the temptation to give in to momentary pleasure or comfort, even with the knowledge of its consequences. As He did for the Egyptians, God provides us the necessary amount of perseverance and grace to overcome these difficulties, and He asks us to participate in the live-giving sacrifice of the Eucharist. Few can summarize the spiritual principles that overlap between addiction recovery and nourishment through the Eucharist like Bishop Robert Barron. 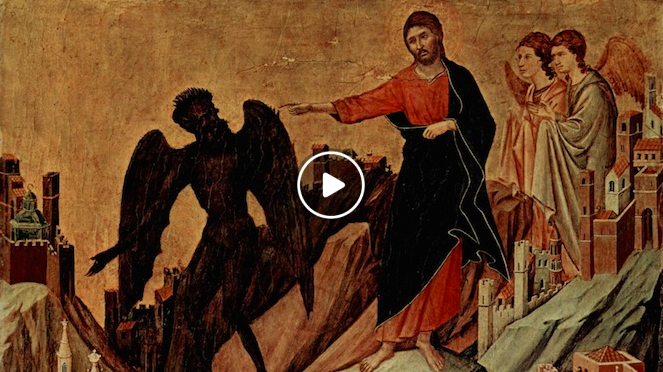 His Word on Fire podcast from 2014 speaks to this really well and beautifully connects our journey to the readings for this Feast of Corpus Christi. If you are on the Road of Happy Destiny (active in addiction recovery), I strongly suggest taking fifteen minutes to hear what Bishop Barron has to say. In fact, he ties the act of sin to the same spiritual principles that are applicable to anyone. I believe giving this a listen will enhance your experience as you contemplate the space that God occupies in your life as we lead up to Sunday’s Eucharistic celebration. Click here to subscribe to Bishop Barron’s Homilies Podcast at Word on Fire (a must-have Catholic resource). I didn’t get to print them out before hand. I think Jill might like to view them.